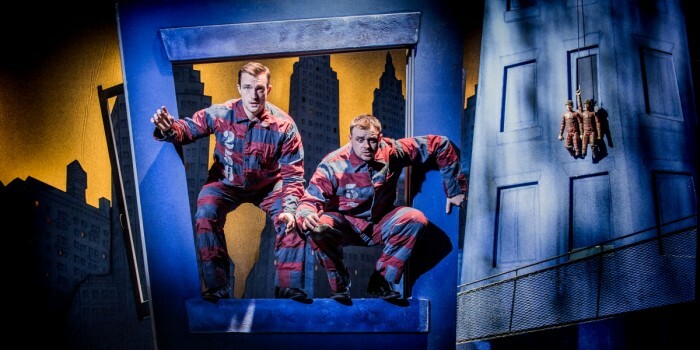 Mischief Theatre’s laugh-out-loud hit, The Comedy About A Bank Robbery, is celebrating its third birthday this month, and they’ve been given a very special present… an extended run in the West End. 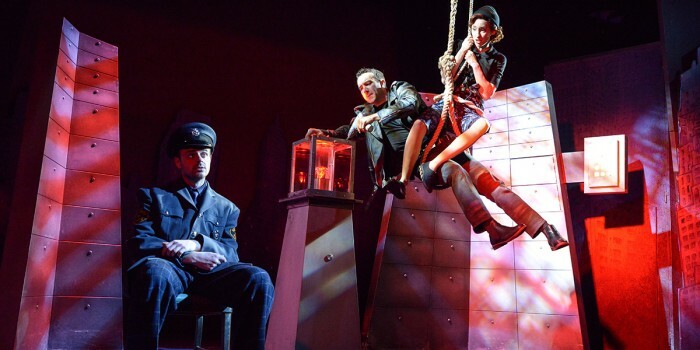 You can now book to see this Olivier Award nominated show until 3 May 2020, and witness the unluckiest, clumsiest and silliest story about a bank robbery that you’ll ever see! A lot has happened over the last three years for this spectacular show, including 1,423 performances at the Criterion Theatre, 7,115 diamond thefts and 10,584 appearances of the seagulls. Yes, seagulls. The cast includes Samson Ajewole (Cooper), Jenna Augen (Ruth Monaghan), Jack Baldwin (Officer Randal Shuck), Leonard Cook (Robin Freeboys), Chris Leask (Everyone Else), Emily Stott (Caprice Freeboys), Gareth Tempest (Mitch Ruscitti), Jack Whittle (Sam Monaghan) and Jean-Luke Worrell (Warren Slax). From Tuesday 23 April the role of Warren Slax will be taken over by Matthew Cavendish, and Jean-Luke Worrell will be taking over the role of Cooper. The story of The Comedy About A Bank Robbery is all about, unsurprisingly, a bank robbery. Set in the summer of 1958, an escaped criminal has his eyes on a priceless diamond at the Minneapolis City Bank. Unfortunately for him, he’s got a rubbish sidekick, a trickster girlfriend and a maintenance man all getting in his way! And in a town where everyone’s a crook, who will end up bagging the jewel? As well as their birthday celebration, Mischief Theatre has plenty of other reasons to bring out cake and bubbles. This includes preparing for their year-long run residency at the Vaudeville Theatre in September 2019, which will showcase three brand-new shows. So far, Groan Ups and Magic Goes Wrong has been announced, with another production still to be revealed. In addition to all this, The Comedy About a Bank Robbery UK tour is currently running until 8 June, the Olivier Award-winning The Play That Goes Wrong, is enjoying its fifth year at The Duchess Theatre, and Mischief Theatre is also currently filming their own BBC series.